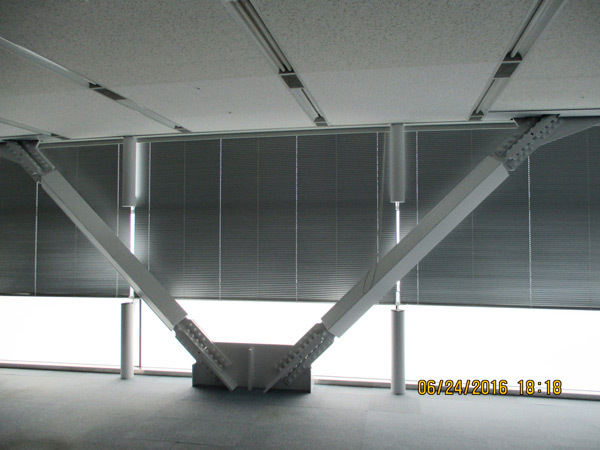 A project to scan a small selection of the film chips of historical earthquake recordings to digital files was started in 1996. 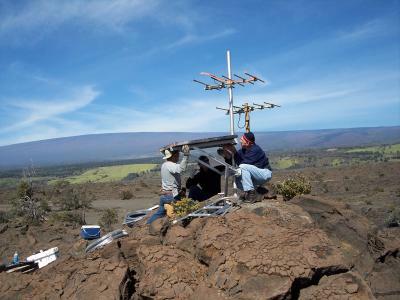 In addition to archiving historic data from the early years, the USGS has also worked to archive photos and descriptions of early seismometers. 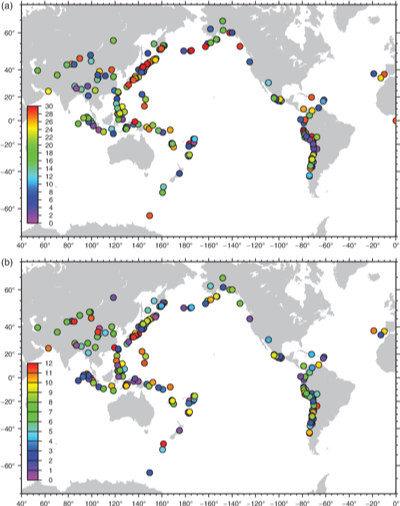 A new picture of the geometry of subducting slabs around the world, the locations of the world’s largest earthquakes. 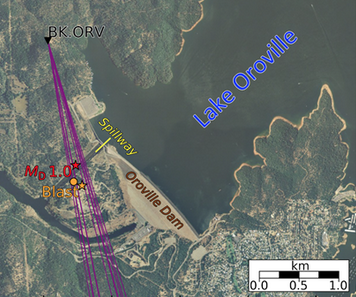 USGS studies show that similar Hayward Fault quakes have repeatedly jolted the region in the past and that the fault may be ready to produce another magnitude 6.8 to 7.0 earthquake. 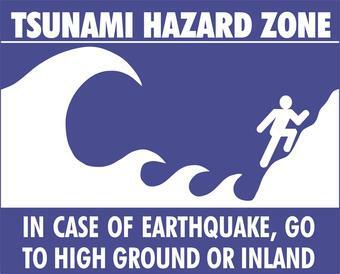 Do you know what to do the moment the ground starts shaking? 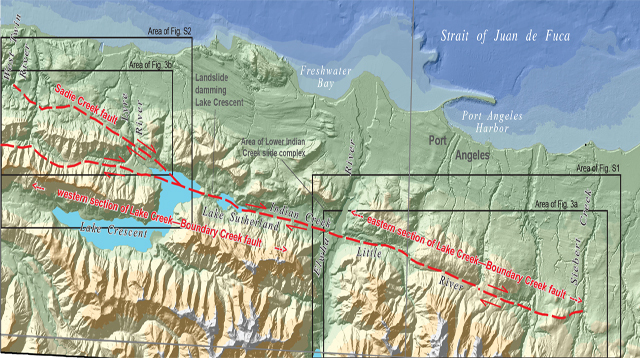 Complex geologic sites, like those between the fault segments along the Wasatch fault zone in Utah, make the dating and ordering past earthquakes a difficult task. 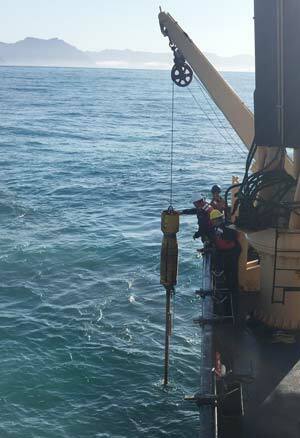 Two new methods were used to make this task easier and to get better results. 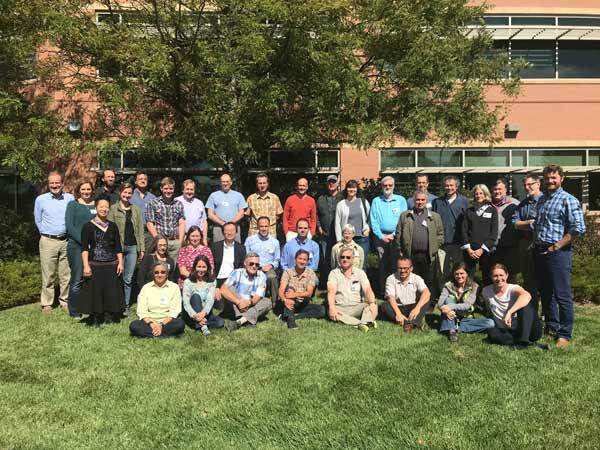 During the week of 9/24, the USGS National Earthquake Information Center (NEIC) led a USGS Powell Center meeting on the future of earthquake research and monitoring. 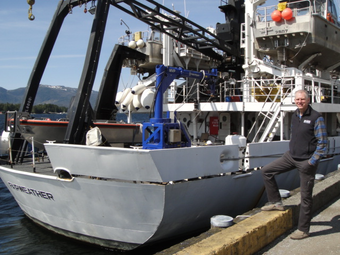 Researchers from NOAA, U.S. Geological Survey and their partners have completed the first high-resolution, comprehensive mapping of one of the fastest moving underwater tectonic faults in the world, located in southeastern Alaska. 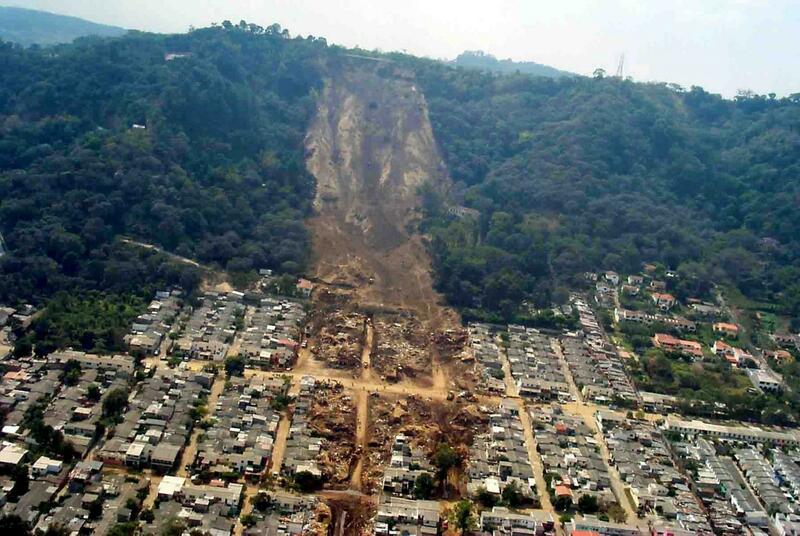 A model developed by researchers at Indiana University and the USGS can help experts address such risks by estimating the likelihood of landslides that will be caused by earthquakes anywhere in the world within minutes. A new more detailed and higher resolution map of the Rodgers Creek Fault in Sonoma County, California, has been produced using aerial photography and hillshade imagery derived from LiDAR data. 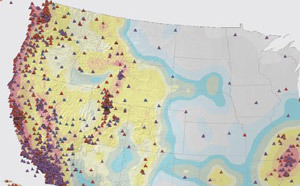 A new map of crustal stress across the U.S. shows that the plate interior stress is variable, with contributions from plate boundary stress, crustal collapse due to gravity, and more local and subtle changes to style, orientation, and earthquake rate. 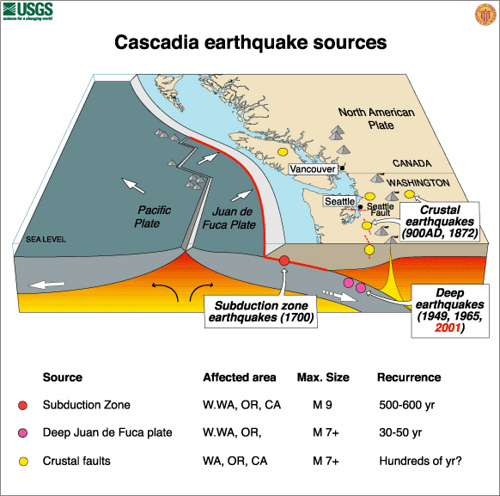 How Often Do Cascadia&CloseCurlyQuote;s Megaquakes Occur? 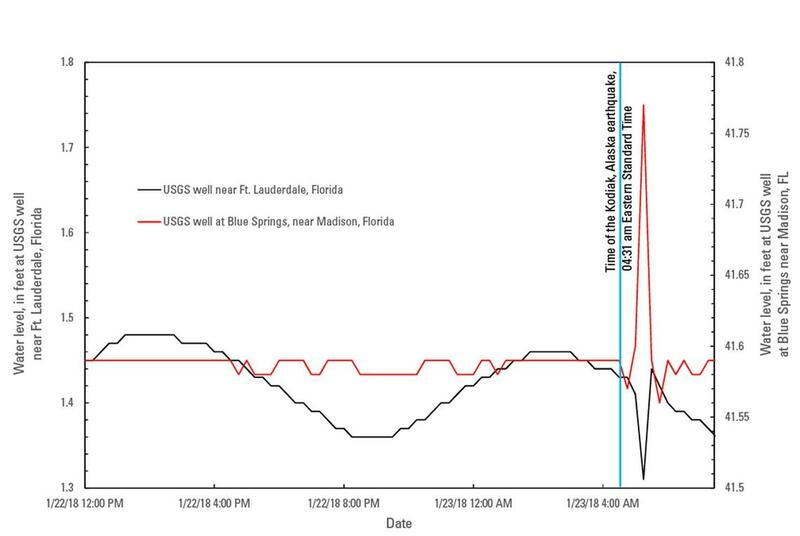 Why was an earthquake in Virginia felt at more than twice the distance than a similar-sized earthquake in California? The answer is one that many people may not realize. 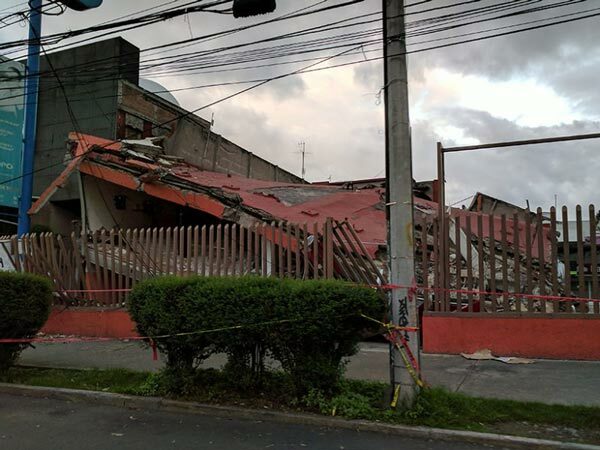 The USGS is currently soliciting project proposals for Fiscal Year 2019 grants on earthquake hazards science with an authorization to award up to $7 million. 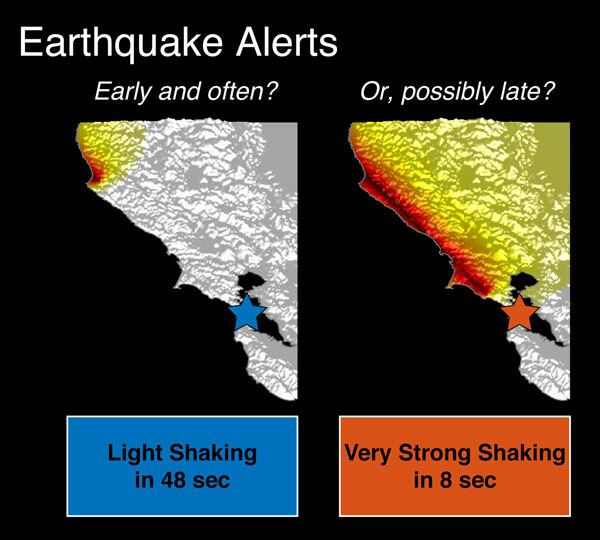 USGS scientists and partners calculate possible alert times that earthquake early warning systems can provide people at different levels of ground motion from light to very strong shaking. 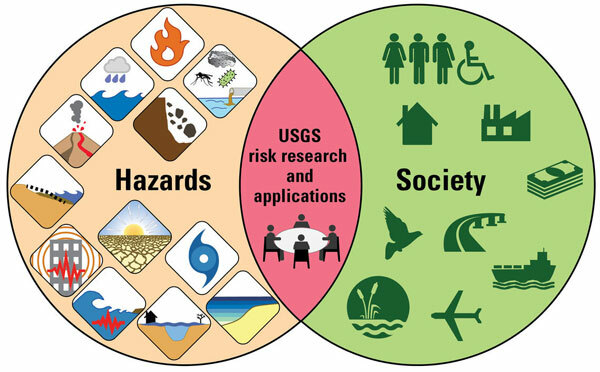 New seismic hazard and risk assessments can help at-risk communities prepare for future earthquake disasters. 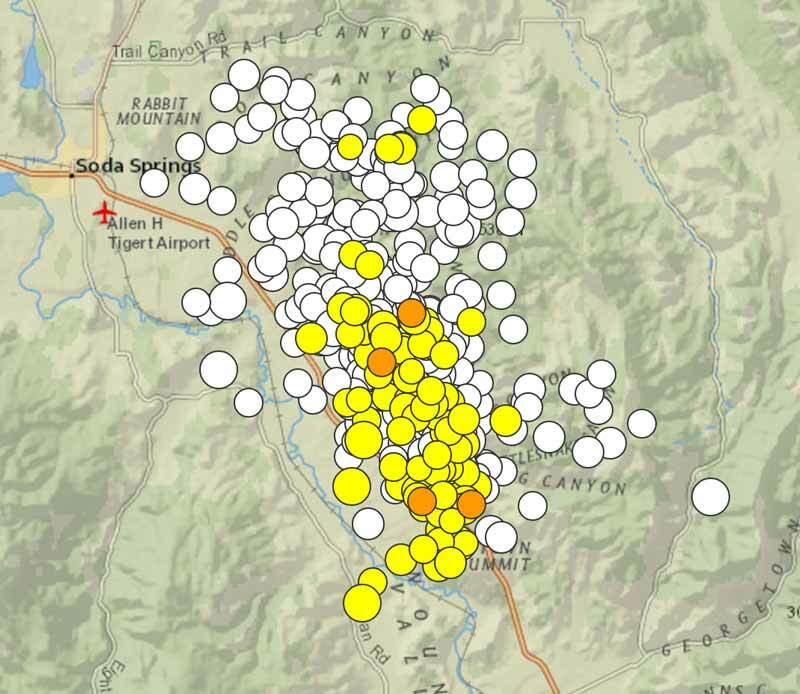 An earthquake swarm has been ongoing near Danville since February 16, starting with a magnitude 2.2 earthquake on 1:17 pm Pacific Time. 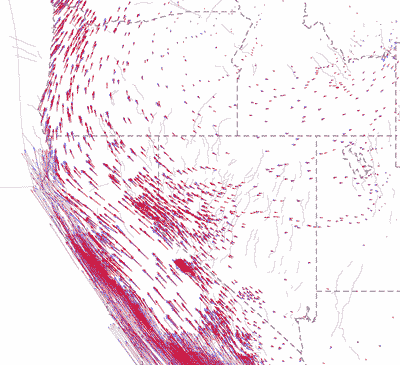 What happened and a background of Alaska seismicity. 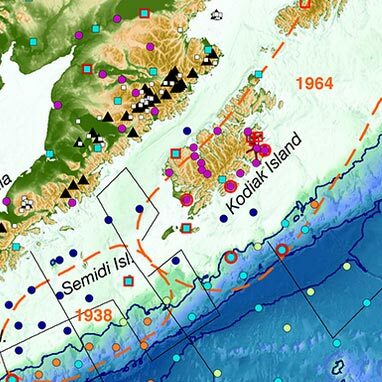 More than 3,500 miles from the Kodiak Earthquake’s epicenter, water sloshed in USGS groundwater wells. 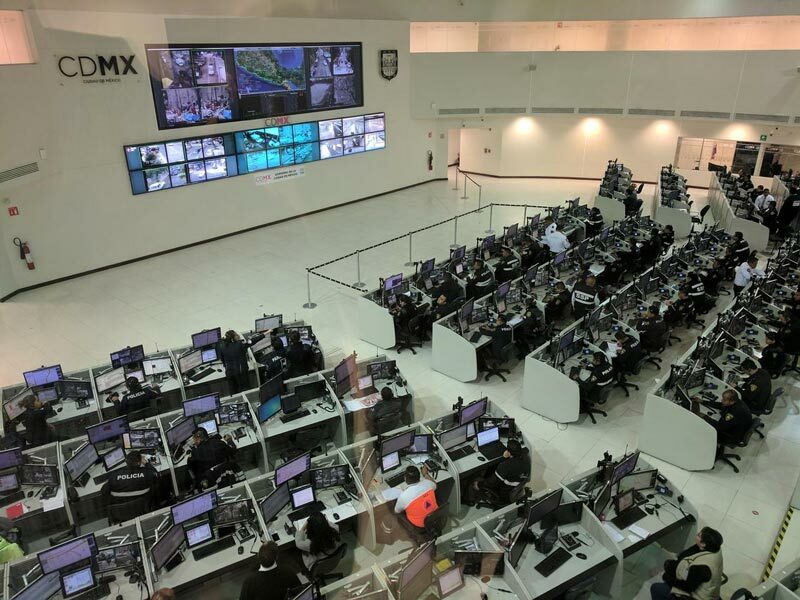 USGS seismologist Elizabeth Cochran studied the performance of Mexico City&CloseCurlyQuote;s earthquake early warning system, during devastating Sept. 19, 2017 event. 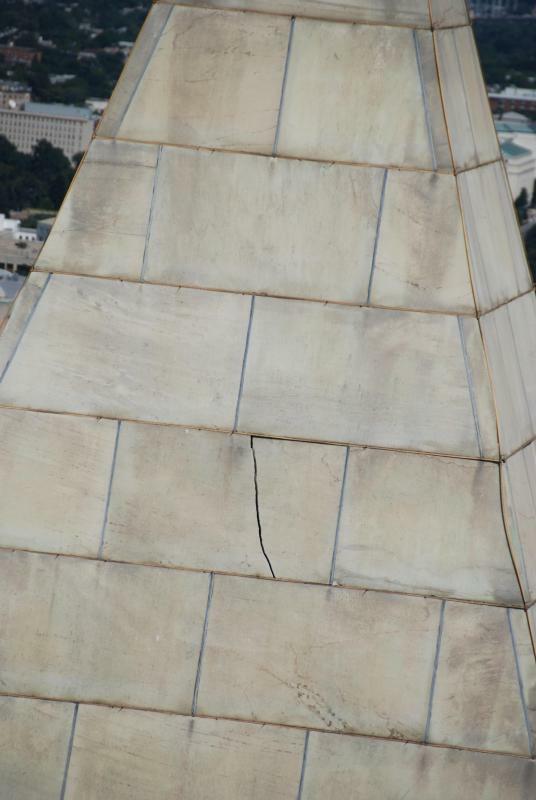 New study shows that DC geologic conditions strongly affect earthquake shaking. 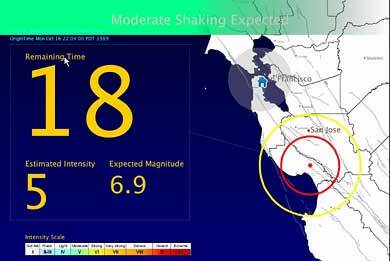 A summary of what we know so far about this sequence, what scientists are doing, plus earthquake forecast scenarios. 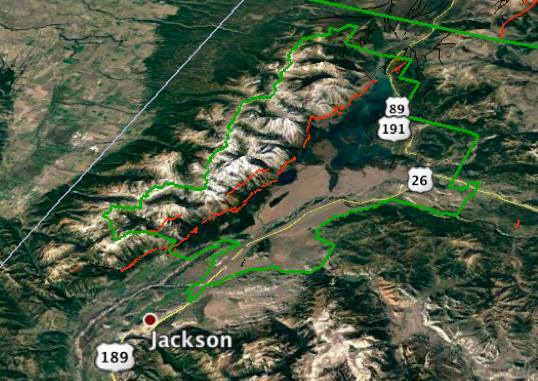 From September 6 to 21, USGS scientists will be doing fieldwork on the Teton Fault near Jackson, Wyoming. 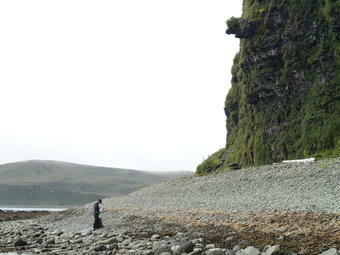 We’ll follow their work as they prepare the area, dig the trench, gather data, and then refill the trench. Check back daily for updates. 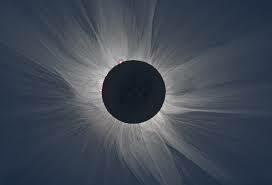 Will the solar eclipse in North America affect faults or cause earthquakes? 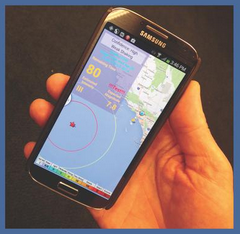 The U.S. Geological Survey awarded approximately $4.9 million this week to six universities and a university-governed non-profit, to support transitioning the west coast “ShakeAlert™” earthquake early warning system into a production system. 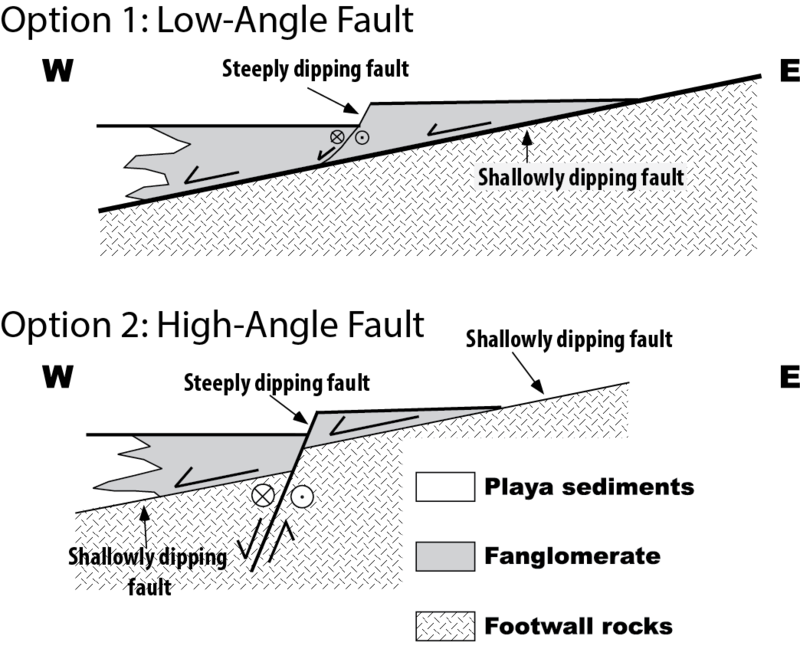 A new U.S. Geological Survey-led study suggests that earthquake-related deformation just below the Earth&apos;s surface can be quite different from how it is expressed at the surface. 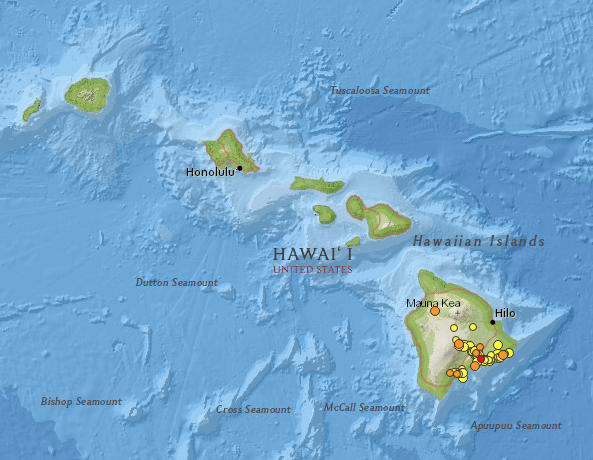 Check out the new GIS interactive map for viewing nearly 800 new ShakeMap earthquake scenarios developed for the continental United States. 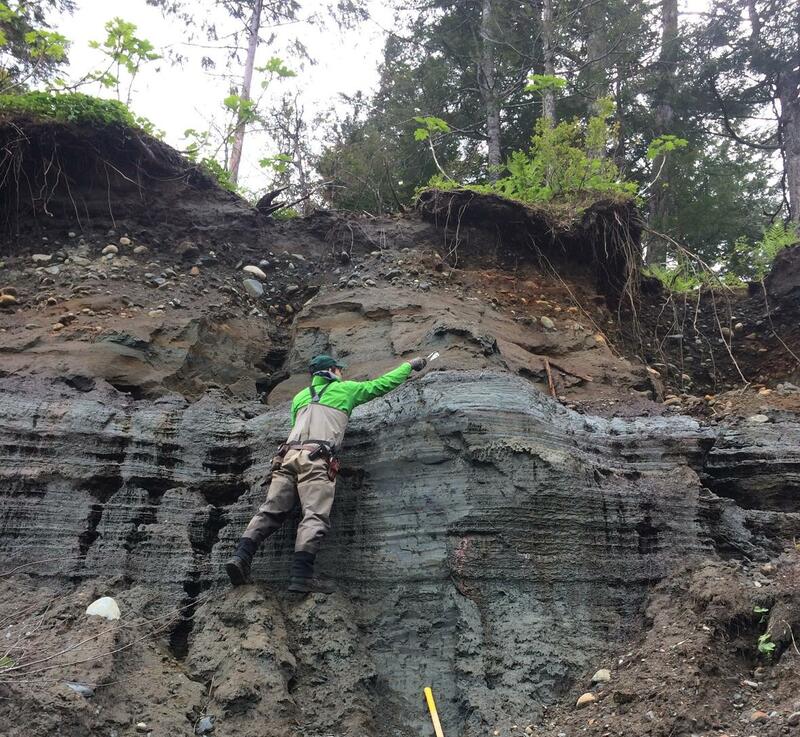 The USGS has developed a blueprint for advancing science and resilience from subduction zone hazards entitled "Reducing Risk Where Tectonic Plates Collide–A Plan to Advance Subduction Zone Science". 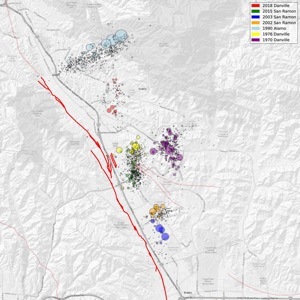 Maybe you’ve heard that the “Big One is overdue” on the San Andreas Fault. 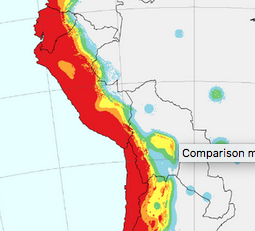 No one can predict earthquakes, so what does the science really say? Where does the information come from? And what does it mean? 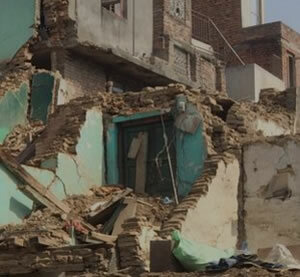 Investigating past earthquakes to inform the future. 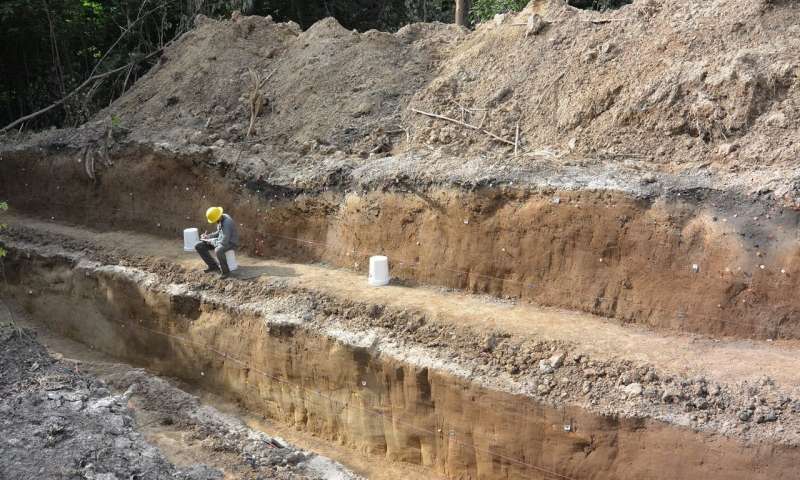 What is paleoseismology, and how are scientists using it? An introduction that non-scientists can understand. 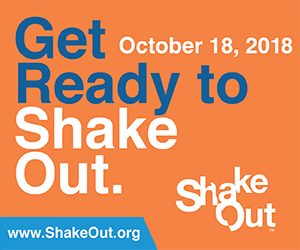 The U.S. Geological Survey along with university, state and private-sector partners will highlight the rollout of Version 1.2 of the USGS ShakeAlert™ earthquake early warning system on April 10, 2017. 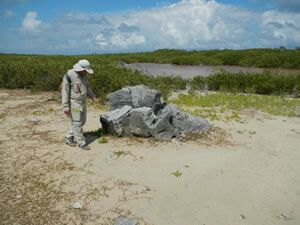 Geologists have discovered evidence that unusual seas detached living corals from a Caribbean reef and scattered them far inland, as boulders, during the last centuries before Columbus arrived. 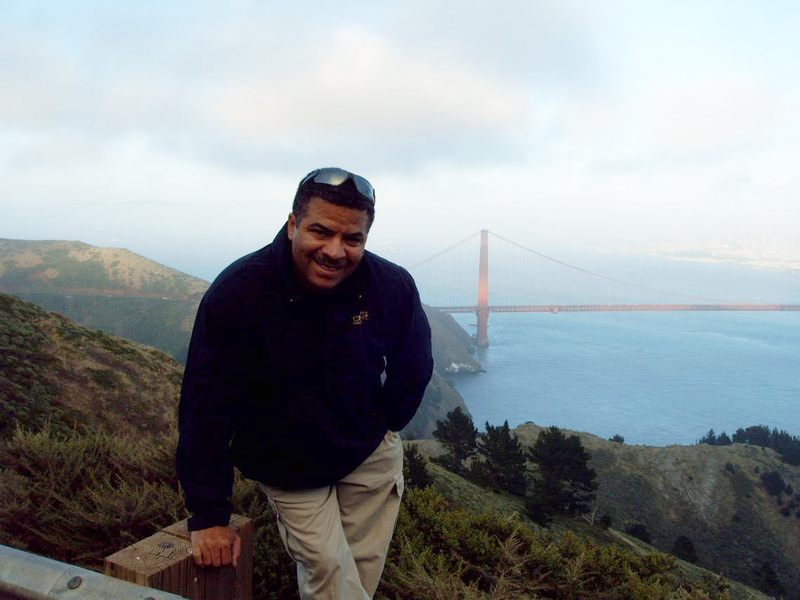 Scientists work with local communities to help residents understand how to prioritize locations for vertical evacuation structures in areas with no natural high ground. 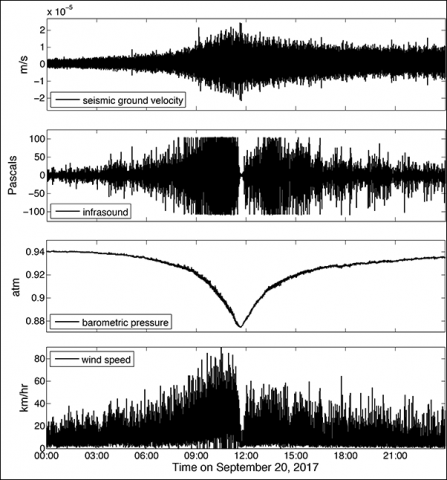 Seismometers record vibrations from a wide assortment of ground motion events, each with its own unique seismic signature. 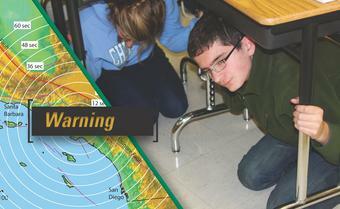 A USGS short educational video. 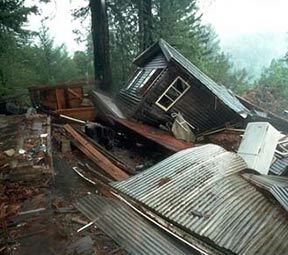 Earthquakes, land subsidence and flooding pose significant threats to California’s fresh water. 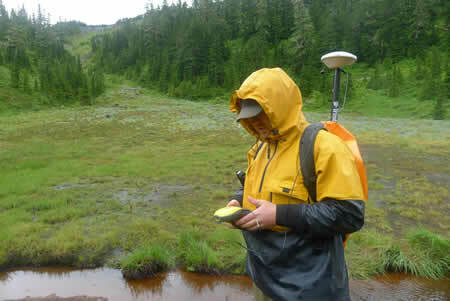 A USGS short educational video. 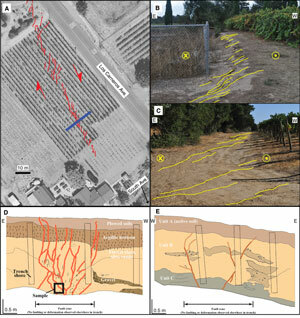 A new USGS study offers a view into the past behavior of large earthquakes along the southern San Andreas Fault. 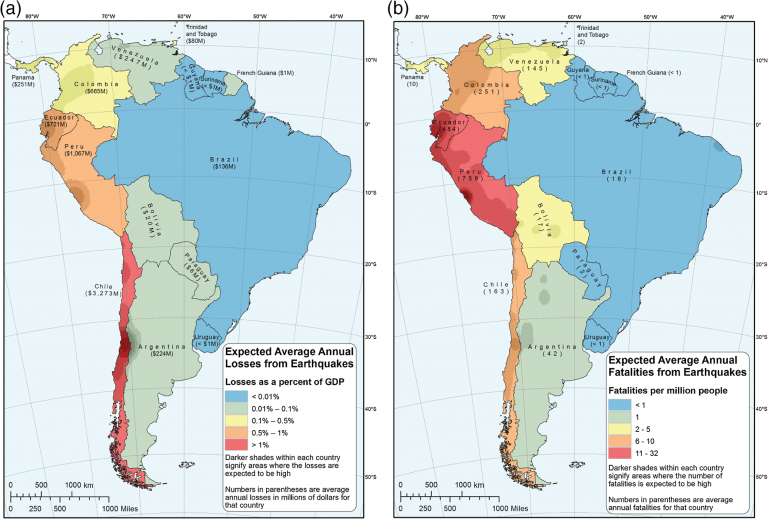 One-year 2017 seismic hazard forecast for the central and eastern United States from induced and natural earthquakes that updates the 2016 one-year forecast. 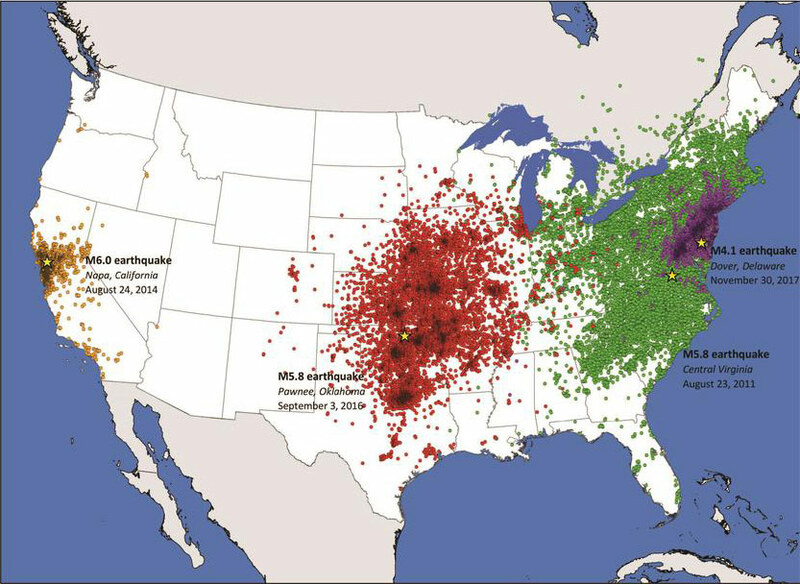 Small variations in the density of the earth’s crust influence where earthquakes may occur in the central U.S. 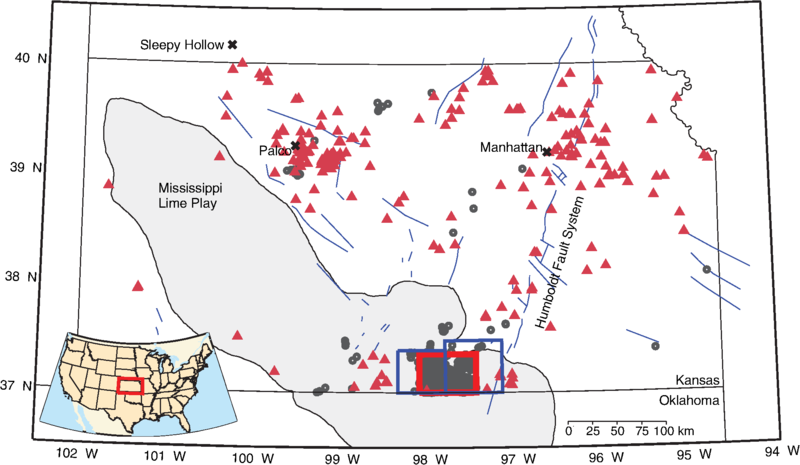 These new findings published today in Nature Communications may allow scientists to map where future seismicity in the center of the country is most likely. 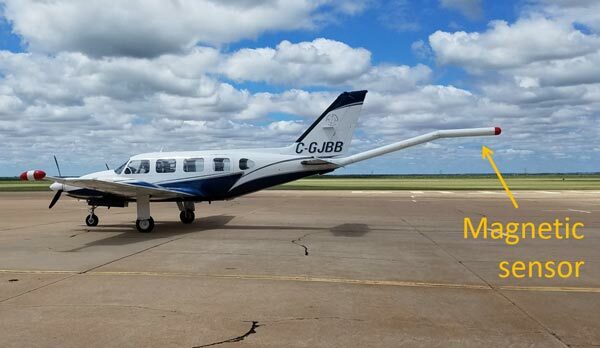 The USGS’ National Geospatial Program is in year one of an 8-year program to create the first publicly available, national 3D elevation map using lidar. 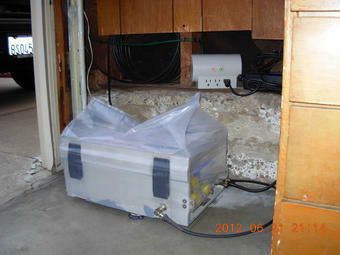 lidar shows not only vegetation and objects on the land’s surface, but the structures beneath such as fault lines. 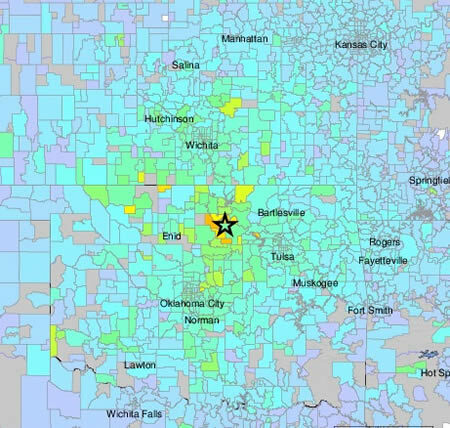 Distant wastewater disposal wells likely induced the third largest earthquake in recent Oklahoma record, the Feb. 13, 2016, magnitude 5.1 event roughly 32 kilometers northwest of Fairview, Oklahoma. 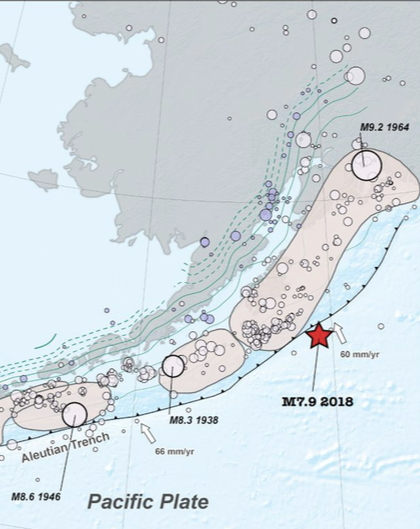 An earthquake swarm near Bombay Beach, California, started on 2016 Sept. 26 at 4:03 am (PDT) in the Brawley Seismic Zone, which lies near the southern terminus of the San Andreas Fault. 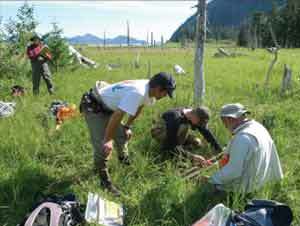 A team of USGS scientists spent 10 days in the wilderness, exploring one of the fastest-moving faults in America. 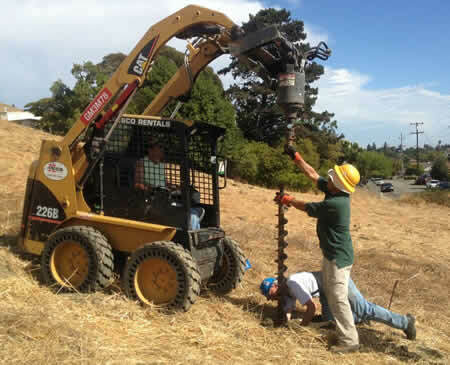 An experiment to visualize the subsurface in and around the Hayward Fault and measure how the ground in different neighborhoods responds to earthquake shaking. 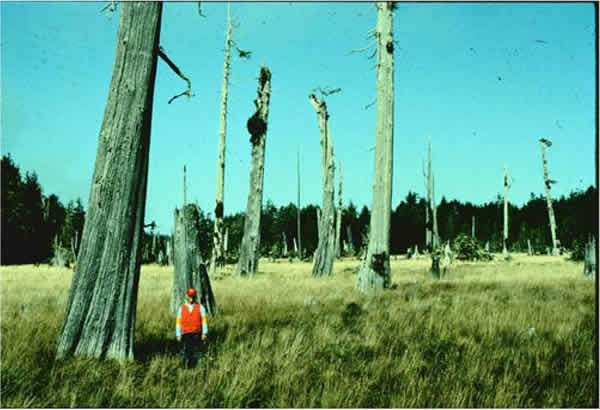 New research from the USGS and Univ. 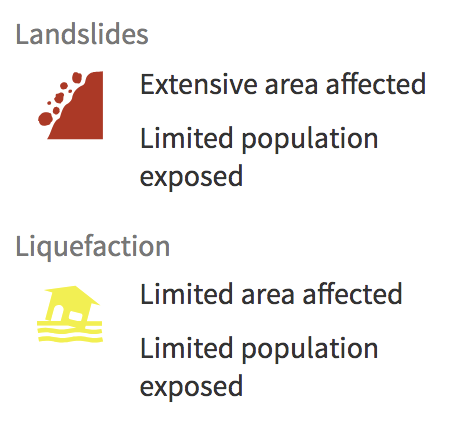 of Colorado shows actions taken by drillers and regulators can lessen risk in the case of earthquakes likely caused by the injection of industrial wastewater deep underground. 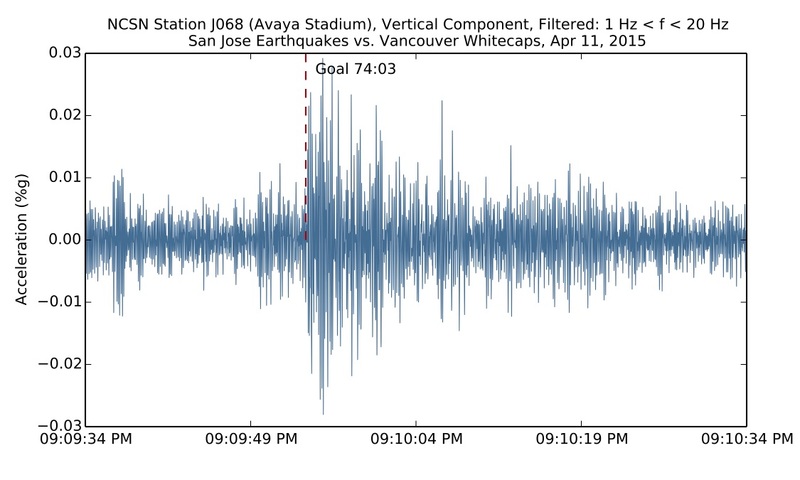 San Jose Earthquakes Major League Soccer Team Highlights Top 10 "Seismic Moments"
In collaboration with the San Jose Earthquakes Major League Soccer team, USGS seismologist, Brad Aagaard used data from the NetQuakes instrument installed at their Avaya Stadium to determine the top 10 largest ground motions recorded on the instrument following goals scored by the team so far in the 2015 and 2016 seasons. 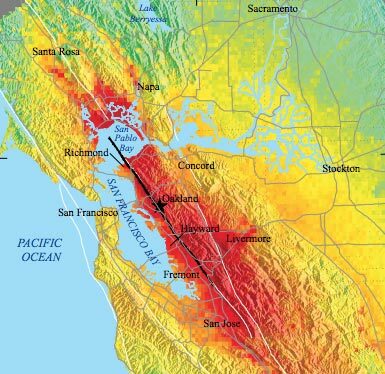 Using information from recent earthquakes, improved mapping of active faults, and a new model for estimating earthquake probabilities, the 2014 Working Group on California Earthquake Probabilities updated the 30-year earthquake forecast for California.